Warner has featured in 114 IPL matches amassing 4014 runs at a strike-rate of 142.13. 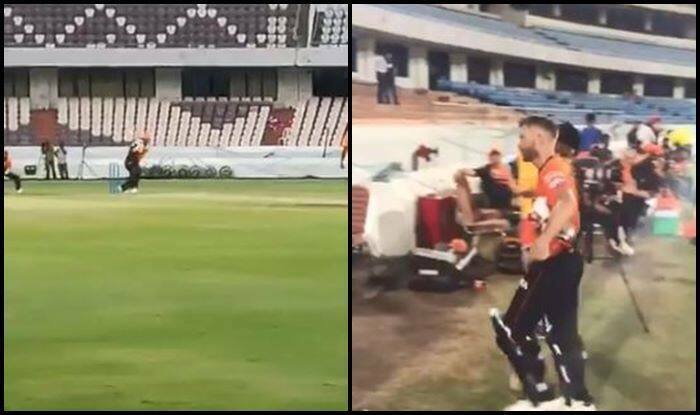 IPL 2019: SunRisers Hyderabad star batsman David Warner is back in ominous touch ahead of the upcoming season. In a recent SRH practice game, the southpaw smashed a breathtaking 65 off 43 balls before he was bowled. Warner was not the top-scorer for the franchise in the game as Manish Pandey stroked a superb 67 off 43 balls and remained unbeaten. The Aussie southpaw would be making a comeback to the franchise after missing out the last edition as he was serving a one-year ban for ball-tampering. Earlier in 2016, SRH won their only IPL title under the able leadership of David Warner. The franchise would be hoping for a repeat of that. They have a strong unit and a great balance in all departments. They would be one of the frontrunners for the title. The Orange army will kickstart their campaign against KKR at Eden Gardens on Day 2 of IPL 2019 which is a Sunday.